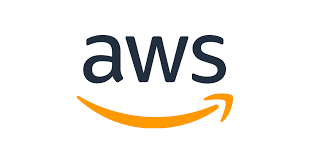 DESCRIPTIONAmazon Web Services is looking for highly talented and technical consultants with network technology skills to help accelerate our growing Professional Services business. This position is for a highly technical Subject Matter Expert that can dive deep and work with customers to design next generation cloud and hybrid IT architectures. Do you like helping U.S. Intelligence Community agencies implement innovative cloud computing solutions and solve technical problems? Would you like to do this using the latest cloud computing technologies? Do you have a knack for helping these groups understand application architectures and integration approaches, and the consultative and leadership skills to launch a project on a trajectory to success? Are you familiar with security best practices for applications, servers, and networks? Do you want to be part of the business development team helping to establish Amazon Web Services (AWS) as a leading technology platform? This is an excellent opportunity to join Amazon’s world class technical teams, working with some of the best and brightest engineers while also developing your skills and furthering your career within one of the most innovative and progressive technology companies. · Be great fun to work with at AWS, we have a credo of "Work hard. Have fun. Make history." In this role, you will love what you do, and instinctively know how to make work fun. You will be dynamic and creative, and willing to take on any challenge and make a big impact. · Enjoy working with Intelligence Community customers. You will have a passion for educating, training, designing, and building cloud solutions for a diverse and challenging set of Intelligence Community customers. · Have a strong understanding of large scale computing solutions with a focus on traditional local- and wide-area network technologies, network overlay/virtualization technologies, and software defined network design patterns. The ideal candidate will have past experience working as a network or systems engineer. You will enjoy keeping your existing technical skills honed and developing new ones, so you can make strong contributions to deep architecture discussions. You will regularly take part in deep-dive education and design exercises to create world-class solutions built on AWS. · Understanding of Federal Government application, server, and network security requirements such as ICD 503, FISMA and FedRAMP.